– The strongest PEOPLE are the simplest. – PEOPLE love everybody, but move with the movers. – Reasonable set of PEOPLE establish clear lines of authority. – PEOPLE do what you inspect, not what you expect. – Successful PEOPLE recognize and reward effort. P.S: WHATEVER YOU PLAN FOR AND DONT HAVE THE MOTIVATION TO DO SO, IS AN EQUAL TO ZERO TASK FOR WITHOUT MOTIVATION THAT TASK WILL HAVE NO REAL PUSH FROM YOU AS THE DESIRE TO DO IT ALL WILL BE CLOSE TO ZERO OR NOTHING. IN ESSENCE, GET THE DESIRE/MOTIVATION FOR ALL YOU DO BEFORE YOU START. Previous article Ovarian Cancer… did you know? Motivation without planning equals frustration…I think I'm going to post this a few places in my house! Good to go. Am glad you find a connection to this. Everyone does. Its true and deep. True, if you're really motivated and want something, you'll have to know how you get it. Only motivation won't be enough. 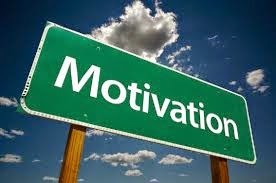 While motivation is the minimum you need to even be able to accomplish something. Quite informative I must say. Thanks for the advice. I'll share this! you welcome, and thanks alot for deciding to share this. Motivation without planning equals frustration… This seems so simple, but it's really very meaningful. Wanting something is part of it, but planning how to achieve it is critical. Love it! well said, am glad you loved it. well said, and thanks for the addition also. I completely agree sometimes when we are motivated we get so charged up and start working without prior planning and this leads to frustration. But its great to be motivated, slow down, think and then act., this would project correct actions and most importantly desired or close to desired results. Motivation is what gets us past the hurdles. We can set out a plan but if we are not driven to the goal, we get distracted by the simplest obstacles. The PS was a bit difficult to read because of the lack of punctuation, but I get what you mean. Planning alone is not enough, we need motivation to drive us forward. am glad you understood the post. Dream, Plan and Act. those will surely sustain the motivation along the way. most certainly… dream , plan and act. Motivation is an elusive thing. You really need the desire to stick to your guns and complete what you want. motivation, desire… they both go hand in hand. great point from you Mary. We all need some motivation in our life to dream big and have passion to conquer our dreams! This is really short post… I'm not sure if strongest people are the simplest, but I do agree with motivation without planning = frustration! cool we have various opinions on this, but am glad you agree to one. yes Jason, if used correctly..